SOUTHWEST HARBOR — The public is invited to two concerts in celebration of the Arthur Russell Festival for Creative Music Making, at 7 p.m. Thursday, July 5, and at 5 p.m. Friday, July 6, at St. John Episcopal Church on Main Street. Festival students and faculty will perform together to benefit the Westside Food Pantry on July 5; and July 6 is a student performance. Both concerts are free admission, with donations welcome. Arthur Russell Festival for Creative Music Making is a one-week summer day camp for young musicians to experience the wonders of musical collaboration in small groups. 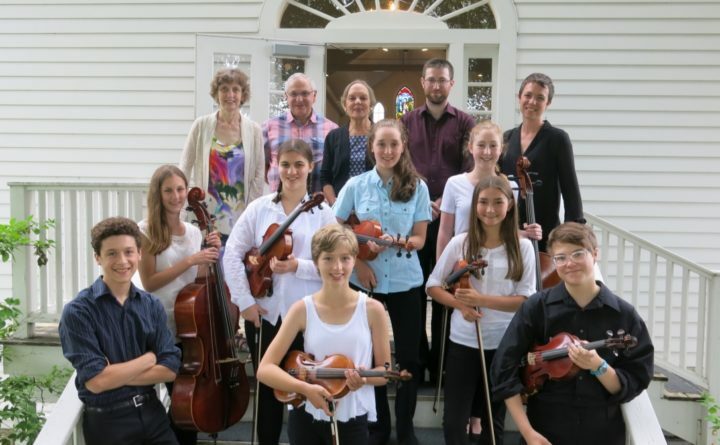 The program is held July 2-6 in Southwest Harbor, and is sponsored by Ellsworth Community Music Institute. It is designed to encourage young musicians to experience the joy of musical collaboration, to form deep and lasting friendships, to be coached by professional mentors, and to share the wonder of performance. This year, the 20th anniversary of ARS, the focus is expanding to honor Arthur Russell’s style of music-making. Russell was an avant garde cellist, composer, singer, and musician with ties to Mount Desert Island. His work spanned the genres of classical, disco, folk and rock. For information, call Ellsworth Community Music Institute at 664-9258 or email arthurrussellfestival@gmail.com.